Here’s a link to a great video that features wildlife biologist Keith Hudson talking about endangered gray bats living in Alabama. 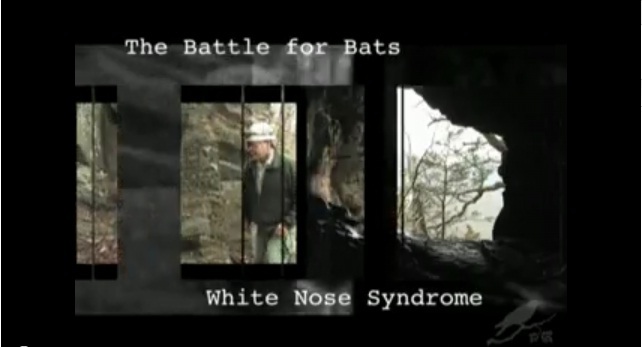 Check out the new episode on Discovering Alabama all about bats! Various species of that unique flying mammal, bats, can be found in Alabama. Several, such as the Little Brown Bat (Myotis lucifugus) and the Big Yellow Bat (Lasiurus intermedius) are considered imperiled due to declining populations. This program follows a team of bat scientists on a research expedition into Alabama’s Bankhead National Forest to study the habits and ecological status of bats. Included are expert assessments of the special capabilities of bats and their important role in the natural environment. The show airs several nights in July, check out Discovering Alabama’s website for the exact dates and times. Here’s a video with a good overview of what WNS is, how to identify it, and why it is such a serious problem.